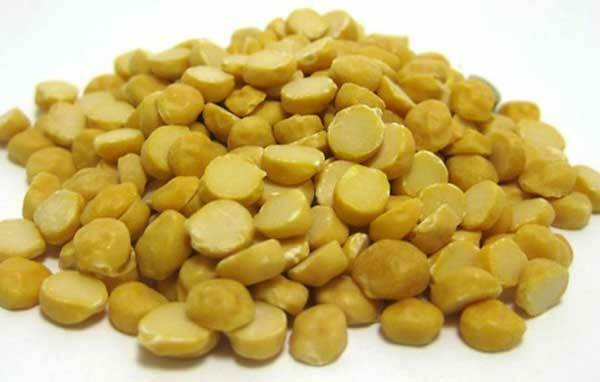 Chana dal is baby chickpeas that has been split and polished. It looks and tastes like small kernels of sweet corn, and is one of the most popular ingredients in Indian cuisine. Chana dal is delicious, nutritious and easily digested. Apart from being used in soups, salads, curries, dal preparations, savouries, sweets and rice dishes, the legumes are also roasted and powdered into chickpea flour (besan), another ingredient that is widely used in almost every province of India. The chana dal pancake can make for a good snack option especially if you are on a weight loss spree. This recipe is delectable and helps you provide your body with right nutrients. Chana daal pancake is gluten free. Hence, it makes for an ideal option for those who are sensitive to gluten. Additionally, there are many benefits of including a gluten free diet in daily routine. Some of these include decreased risk of cancer, heart disease, and diabetes. This is an easy recipe to try. The best part is that it contains a mix of healthy ingredients. Most Indian breakfast options and snacks are an unhealthy mix of high calories. They involve a lot of fat. On the other hand, these chana dal pancakes are a healthier option for breakfast. The chana dal pancakes recipe makes use of soaked chana dal mixed with vitamin rich green vegetables and protein rich curds to enhance its taste. It doesn’t contain a lot of spice. Grated ginger and green chillies help spice up the recipe subtly. The recipe gets ready in just ten minutes. Clean the chana dal and remove any kind of stones or dirt. To soak chana dal faster, first wash it twice with water and then soak it in warm water. Step 3: Blend the soaked and drained chana dal in a mixer. Step 4: Add very little water to prepare a coarse paste. Step 5: Transfer the paste into a medium sized bowl and add carrot, spinach, curry leaves, green chillies, ginger, curd, oil, salt and little water. Step 6: Mix the contents well. Step 7: Add Eno and 2 tsp of water over it. Step 8: Mix gently once the bubbles are formed. Step 9: Pour a little batter on a greased non stick griddle. Step 10: Spread the batter evenly to prepare a small circle. Step 11: Cook on both the sides until the cakes turn golden brown in colour. Step 12: Repeat the process to make 2 more pancakes. Step 13: Serve immediately with green mint and coriander chutney. 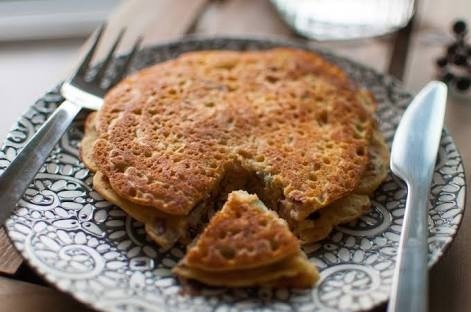 In case, you find the pancakes sticking to the girdle, just about 2 tablespoon of gram flour to the batter and continue cooking.